As an employer you will be required to ensure that the use of Display Screen Equipment is risk assessed. These assessments should be provided by a trained assessor. 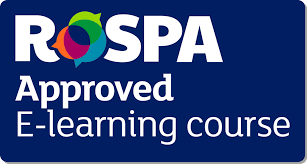 This course is designed to train your assessor and has been approved by RoSPA to do that. Note: You will also need to ensure that all of your employees receive Display Screen Equipment awareness training. Each module is explained clearly in plain English through video, and has a short test at the end of each module with a 70% pass rate. The course takes on average 110 minutes. The course takes on average 110 minutes (Note: This is based on the amount of video content shown and is rounded off. It does not account in any way for loading time or thinking time on the questions).